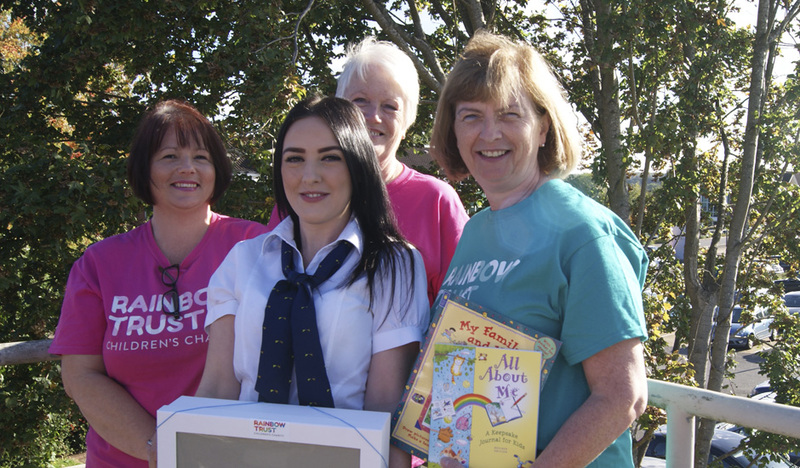 A member of the Epsom branch of Leeds Building Society took time out on Friday 6 October to present special memory boxes to Rainbow Trust’s Surrey Care Team in Leatherhead, who support families caring for a child with a life threatening or terminal illness. The memory boxes were funded by Leeds Building Society’s Charitable Foundation and will be used by terminally ill children, their siblings and parents who are being supported by Rainbow Trust’s Family Support Workers in Surrey. Charlotte Harding, a Customer Advisor from the Epsom branch, heard from the Rainbow Trust Care Team about how the memory boxes will enable families they support to collate treasured items such as photos, letters, drawings, cards and toys in a safe place as an everlasting keepsake and memory of their beloved child or sibling.